President Kikwete’s recent bold actions in tackling corruption in Tanzania and his appointment as head of the African Union (AU) have greatly enhanced his stature on the international scene. 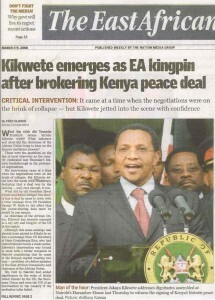 When former UN Secretary General Kofi Annan reached deadlock after tortuous negotiations with Kenyan leaders to try to establish a power sharing government, President Kikwete, was called to Nairobi and in a very short time (on February 28 to be precise) the two squabbling Kenyan parties reached agreement. The report of the Presidential Task Force on the biggest scam – in the External Payments Arrears (EPA) section of the Bank of Tanzania (BoT), involving the loss of some $130 million – is being eagerly awaited but had not been published as this issue of TA went to press. Rumours of possible involvement of big personalities were circulating. The Bank’s sacked Governor Dr Daudi Balali, was reported to be in America. Police have already claimed to have recovered some $50 million of the estimated losses and to have identified some of the guilty parties. It is understood that the Richmond saga began when plans were being made for the construction of an oil pipeline from Dar es Salaam to Mwanza. There was intense international competition to obtain the construction contract. Eventually it was awarded to a hitherto unknown American company called Richmond Development Company. It soon became apparent however that this company was not able to do the job. In 2006 Tanzania faced a serious crisis in electricity supply and, as an emergency measure Richmond was awarded a contract to supply generators to provide 100 megawatts at a cost of TShs 172 billion. The generators failed to arrive on time and when they did they did not work as required. The pipeline was never built and the generators were provided by another company. Under part of the contract however the government agreed to pay some $137,000 a day regardless of the amount of electricity provided. Opposition MP’s began to smell a rat and the House of Assembly set up a Select Committee to investigate the whole saga under the chairmanship of the ruling CCM party’s Kyela MP Dr Harrison Mwakyembe. The committee worked diligently and eventually came up with a 165- page report. On February 8 the Guardian described what happened when Dr Mwakyembe read his report to Parliament: ‘Courteous norms and sugar-coated language were set aside as fiery MP’s spoke with bitterness as they contributed to the debate on the findings of the select committee. Opposition and government CCM MP’s spoke with one voice in criticizing the contract imposed by top government officials on TANESCO…. It was a ‘born-again’ Parliament, with MP’s clearly stating that the time for tolerating vice and the signing of bad contracts by ministers and other public officials while Parliament looked on helplessly were gone for good. After hearing the committee’s findings they said: “It’s time we (legislators) joined hands. It is time we worked together regardless of our political differences in matters of public interest. We have to protect the welfare of millions of Tanzanians who are dying simply because of problems caused by these dubious contracts” MP’s said. Anna Komu (opposition CUF MP) said “The squandered TShs 200billion were equivalent to the annual budgets of the ministries of Education and Community Development and Gender, and Children’s Affairs. Philemon Ndesamburo (opposition CHADEMA MP), asked the President to drop the head of the PCCB anti-corruption authority and Attorney General from the task force investigating the BoT scandal and said that those behind the Richmond contract should be taken to court and have their property confiscated by the state. “In other countries, such people are hanged in public” he said. Dr Mwakyembe told parliament that his committee had proved beyond reasonable doubt that Richmond did not deserve to be awarded the tender for the generators. “We would like to announce in this Parliament that Richmond Development Company LLC, which won the tender and eventually signed a contract with TANESCO on June 23, 2006 lacked experience, expertise and was financially incapacitated.” The firm had no share records or registration in the US or Tanzania and the whole bidding process had been marred by corruption and gross irregularities. Richmond had later passed its contract to Dowans Holdings. 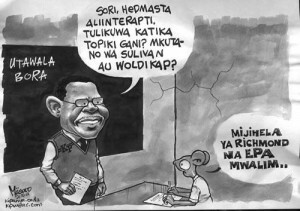 Dr Mwakyembe came up with 16 recommendations to make those responsible for ‘this shameful act’ pay for their misdeeds. 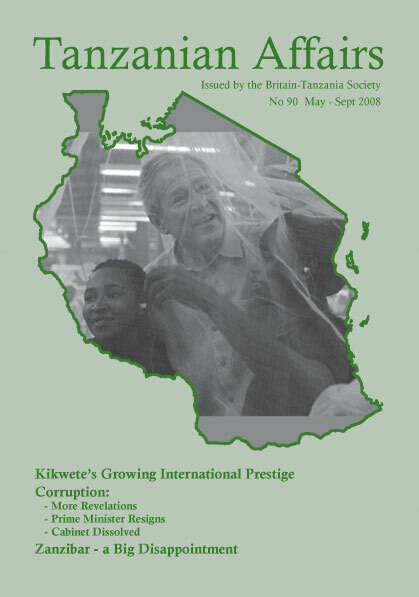 He said that due to the fact that the final selection of Richmond as the successful bidder was done by Prime Minister Edward Lowassa himself on June 21, 2006, and due to the fact that he had exerted pressure to have Richmond awarded the tender, it was upon him to ponder over his responsibility to the nation. The committee also proposed that the Minister for Energy and Minerals, Nazir Karamagi, be taken to task for barring TANESCO from withdrawing from the agreement which it wished to do. The committee said Karamagi’s decision indicated that some trusted leaders were out to advance their personal interests at the expense of national interests. As for a subsequent report by the Prevention and Combating of Corruption Bureau (PCCB), a report which had cleared the Richmond contract, the committee said that this had been a ‘whitewash.’ The committee proposed that immediate changes in the Bureau`s management be made to restore public confidence in it. It was not there to cover blunders. The committee also proposed that Attorney General Johnson Mwanyika, and his representative, Donald Chidowu, who formed part of the Government negotiation team, be fired immediately for failure to advise the government on the various irregularities. Mwakyembe said his committee had failed to comprehend the degree of arrogance displayed by officials in the Ministry of Energy and Minerals, who had deliberately disregarded the advice of the cabinet on adherence to procurement procedures and had three times ignored technical advice by the Public Procurement Control Authority. The ministry had ended up granting Richmond the contract and rejecting eight other applicants. Mwakyembe’s committee further advised on the need for the government to abandon the ‘colonial attitude’ that contracts between the government and private companies should remain secret. Parliamentary standing committees should be involved in the early preparations of agreements, Mwakyembe said. The committee’s report also implicated former Energy Minister Dr Ibrahim Msabaha for the confusion that reigned during the entire process, which had denied possibly more credible companies from the right to win the tender. Mwakyembe said Msabaha was reported to have told MP’s that he had no powers on the irregularities because the company belonged to the ‘big boss’, meaning the Prime Minister. “I am only taken as `Bangusilo,` meaning in the Zaramo language, a ‘sacrificial lamb’ to die for others” – Guardian. Mwakyembe said that since Richmond falsely presented itself as having been registered in the USA, its proprietors and all collaborators should face justice. Commenting on allegations that the business registration authority, BRELA had allowed the swapping of genuine files of Richmond with fake ones, Mwakyembe said BRELA should submit reports to the relevant ministry on a weekly basis and copies of the files should be preserved by the government separately. The drama continued when CCM MP Lucas Seleli, who was a member of the Select Committee, took to the podium to tear apart earlier allegations made by Prime Minister Lowassa that the committee had condemned him unheard. He challenged the Prime Minister to withdraw his allegations, short of which he would seek the application of Parliamentary Standing Orders to compel the Prime Minister to apologize. The Prime Minister had had a hand in the whole transaction he said. 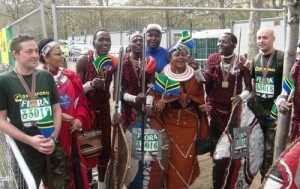 When Lowassa rose to respond to Seleli’s demand that he withdraw his remarks, he said a line that was contained in the report that had particularly disturbed him was to the effect that ‘The proprietors of Richmond are Prime Minister Lowassa and his close friend (Igunga MP) Rostam Aziz.’ The Speaker sidestepped this issue by inviting other MP’s to contribute to the debate on the findings. Then followed the announcement by the Prime Minister that he intended to reign over the Richmond scandal and the ministers for Energy and Minerals (Nazir Karamagi) and East African Cooperation (Dr. Ibrahim Msabaha) also resigned. Karamagi said the government signed the agreement in good faith because the country was facing power problems – Guardian. After all this, as recently as late April 2008 Richmond was advertising in the press that it was a respectable company – Guardian. Former President Mkapa remains under attack in the Swahili press for what they allege was his purchase, with his then Minister of Energy and Minerals Daniel Yona, of the Kiwira Coal Mine at a ‘giveaway price.’ Two newspapers owned by Tanzania’s most prominent businessmen Reginald Mengi – Kuli Koni and ‘This Day’ have launched what appears to be a crusade against Mkapa and are alleging that he has been involved in several other corruption cases. One cartoonist had Mkapa busy extinguishing the ‘fire’ in Kenya (he was part of the AU team working on the Kenya crisis) while reporters ask him about the BoT scandal. Meanwhile Daniel Yona challenged anyone who wants to prosecute him to go ahead. Talking to Nipashe he said that if there were individuals or groups wishing to prosecute him they could do so. He said he was the victim of a smear campaign though he agreed that he had shares in the mine. During a visit by Norwegian Prime Minister Jens Stoltenberg to Tanzania, President Kikwete said his government was devising mechanisms to help guarantee smoother operations in Tanzania’s mining sector. Norway had previously threatened to withdraw shares amounting to $5 billion citing corruption and tax evasion by some mining companies. Kikwete made an impassioned appeal to the government and people of Norway not to withdraw their shares from the sector. He said his government had already acted on the matter by setting up a committee that was expected to come up with a package of measures to make Tanzania`s mining industry operate more efficiently and productively. “We are trying to clear the mess in our mining industry; everything will soon be sorted out,” he stated. In late April the leader of the opposition in parliament, Hamad Rashid (CUF), accused the Controller and Auditor General of deliberately omitting from his latest report the audited accounts of dubious mining projects. This was a serious omission he said. The report was presented by the chairmen of the House’s Public Accounts and Local Government Authorities’ Accounts Committees, John Cheyo (UDP) and Wilbroad Slaa (CHADEMA) respectively. President Kikwete’s actions in encouraging the exposure of corruption and setting up enquiries to find out the truth have received wide praise. Apart from accepting the resignation of three cabinet ministers and then dissolving the whole government over the BoT scandal (see below) the President has been taking other measures which have been publicised in the media. 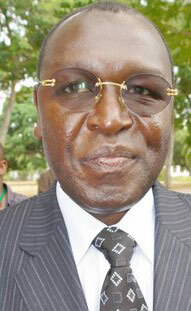 He appointed Prof. Benno Ndulu as the new Governor of the BoT and also a new Board of Directors. At its first sitting the Board decided to reduce the powers of the Governor especially over the Bank’s Audit Committee. In future the committee would consist of independent members instead of BoT directors. It was also decided that the internal auditor should work independently, reporting directly to the committee as well as to the board. The new Governor quickly removed senior members of staff involved in the operation of the EPA pending a review of their roles. The EPA account was also frozen. An important conference of some 200 members of the CCM Central and National Executive Committees was held in March, symbolically in Butiama, the home village of the nation’s founding father Julius Nyerere. There were two main items on the agenda – firstly, what to do next in terms of disciplinary action or prosecution of those accused of corruption and secondly, what to do next in Zanzibar after almost two years of detailed negotiations led by the Secretaries General of the CCM and the leading opposition party in Zanzibar, the Civic United Front (CUF), to resolve the ongoing political differences in the Isles. Hopes in Zanzibar, especially in Pemba which supports CUF overwhelmingly, were high because it had been widely reported that a power sharing agreement (Muafaka) had been finally reached and only needed ratification by CCM’s Central Committee. After what was reported as having been an acrimonious six-hour meeting however it became apparent that elements of the CCM party in Zanzibar, including apparently President Karume of Zanzibar, were not prepared to accept power-sharing with the opposition. The CCM declared that before such an arrangement could be concluded there would have to be a referendum in which the people of Zanzibar would be able to vote for or against such a proposal. At the time of going to press CUF announced that it was ruling out any further dialogue with CCM on the dispute but CCM Secretary for Ideology and Publicity, John Chiligati said that it was wrong for CUF to claim that CCM had scuttled the Muafaka. He said: “CUF will march until they get sore feet but their attempts to break off negotiation with CCM will not help them.” Muafaka could not be reached by negotiation teams without the approval of the party leadership. He said the teams merely prepared recommendations. “After CUF gets tired of demonstrating they will return to the table” – Nipashe. Mwananchi has reported that as people were celebrating the 44th anniversary of the 1964 Revolution in Zanzibar some had begun to ask questions as to what it had really involved. They wanted to apologise for what they did. One of them, Ali Omar Juma (aka Lumumba). declared that he had nightmares remembering how innocent people were hacked, their houses raided and their property robbed. He said the basic aim was to liberate the country, but some of those who joined the crowd had ulterior motives which were ‘inhuman and cruel’. 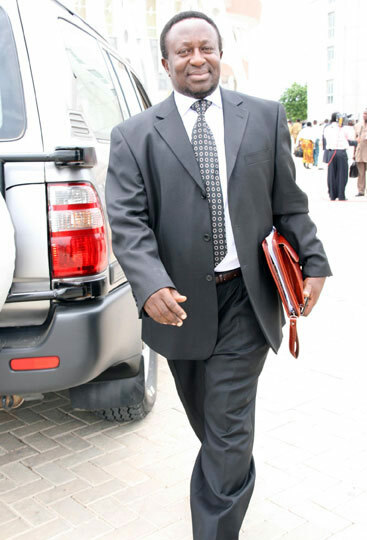 Deputy Secretary General of CUF (Zanzibar), Juma Duni Haji was later quoted as saying in Nipashe that the 2010 elections would be marred by violence if the Muafaka was not implemented. Speaking at the University of Dar es Salaam on occasion of the 44th year of the Union, Duni said President Kikwete knew full well that without a coalition government there would be no free and fair elections in the island. Talking about the ‘marginalisation’ of opposition supporting Pemba island Pemba, Duni said that of the 15 Zanzibar ministers only one came from Pemba, there was one deputy Minister and only two permanent secretaries.